To design is to transform the world, from the simplest things right up to the most complex ones. Design is not just a discipline that teaches us how to invent and improve the material side of life: it is also an ideal model that teaches us how things both great and small are bound together by invisible threads. It is the art of change, responsibility and commitment. The visual designer is a creative who is also capable of co-ordinating the skills of a team specialising in a variety of disciplines. He also knows how to face, as the orchestra conductor, omplex issues at stake in institutional communications, services and products. This course enables students to acquire a methodology to use in the different phases of a project and its execution and to apply for employment as designers (in professional offices, agencies or organisations) or creative consultants for industrial or commercial firms, or – by opening an office of their own – to take the plunge as entrepreneurs of their own careers. The course is intended for students who have a high school leaving diploma coming from either an Italian or a foreign university. Applicants will be expected to show a strong interest in design disciplines (visual, graphic, exhibition and digital design, lettering, photography and video), in social sciences (anthropology, theories of communication and mass media, sociology and semiology) and in the culture of the visual arts (art and design history). Students who attend this course are future designers of digital and analogical communication, creative directors and brand experts. An introductory phase (First Year) is followed by an intermediate one that focuses on a case study (Second Year) and then a completion processs dedicated to the final project and portfolio (Third Year). From the groundwork of basic design to the grammar of typography, from graphic layout software programs to packaging, from motion graphics to interactive design, students learn all the disciplines related to visual design, combining techniques with technologies and their own cultural humus, so as to operate consciously in the complex scenarios of our contemporary society. 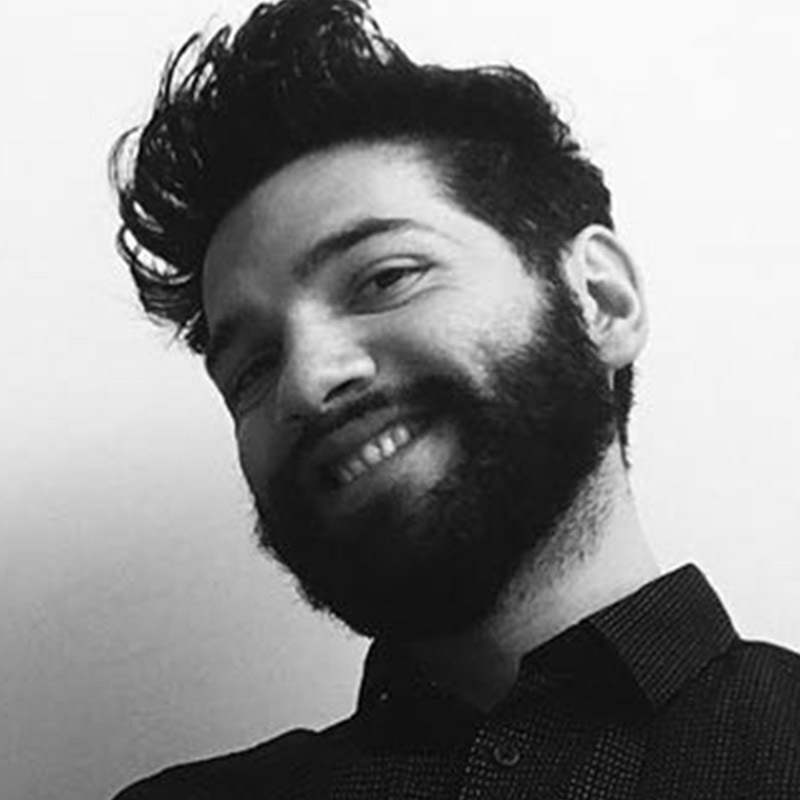 Fellow student of Giorgio de Renzo and Mario Ricciardi, Matteo Balocco graduated in 1998, then started working with Domino Interactive in Turin as a front-end specialist. 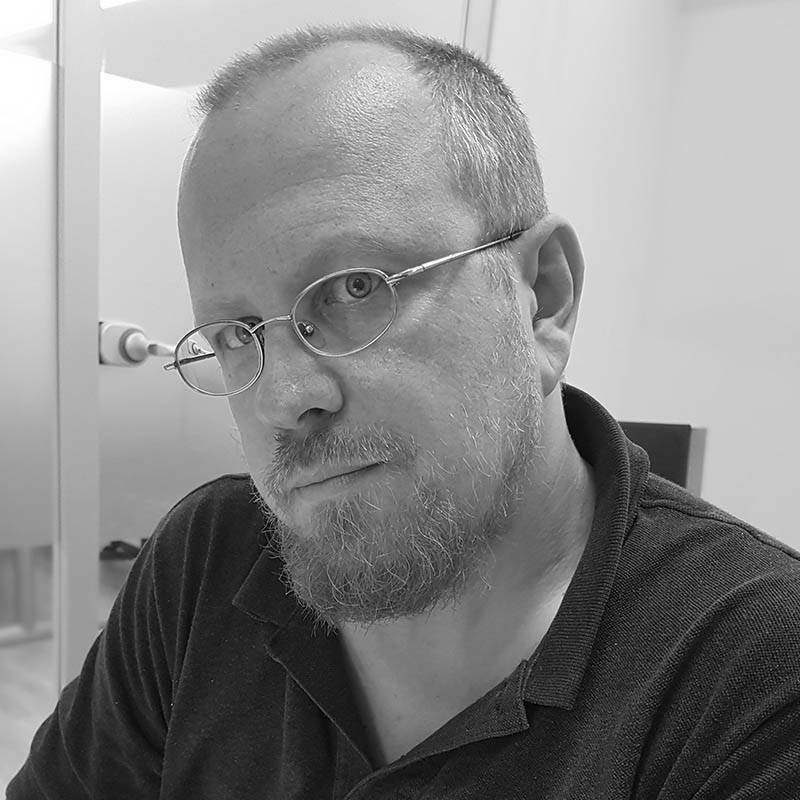 In 2004, he won two Interactive Key Awards for the best front-end development with the websites for the Turin Book Fair and NoMartiniNoParty. In 2011, he started working with Simplicissimus Book Farm on creating a set of typographic rules for e-books and wrote a web typography handbook for Apogeo. 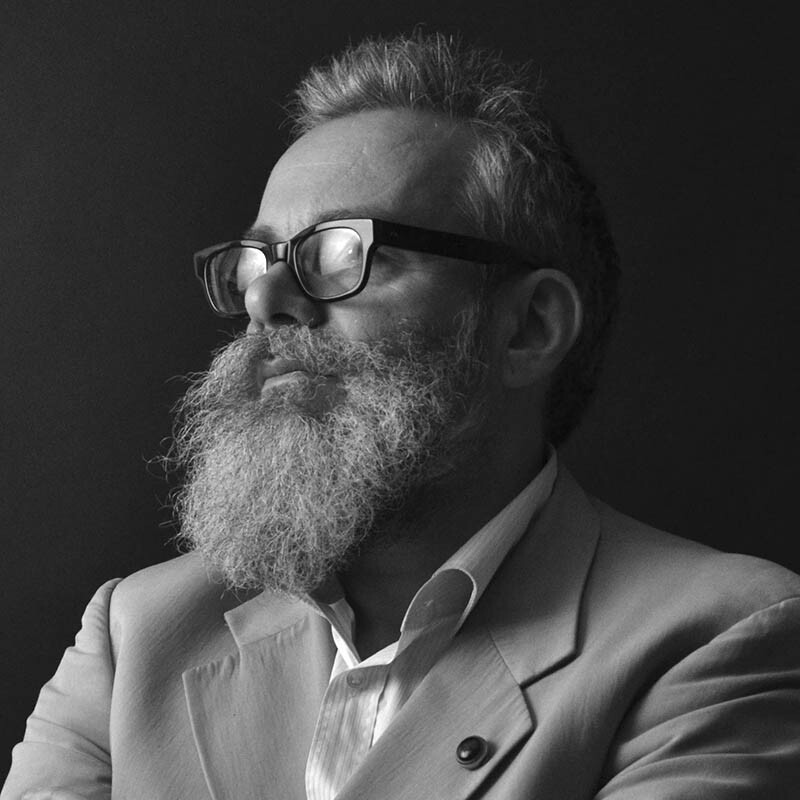 In 2013, he was one of the people behind the conception and organization of Kerning, the first international conference held in Italy dedicated to typography for the web, and became a member of the visual design thematic committee of experts for the ADI Design Index (until 2015). At the same time, he also started working with Reply and Bitmama as a user experience designer on financial technology projects. 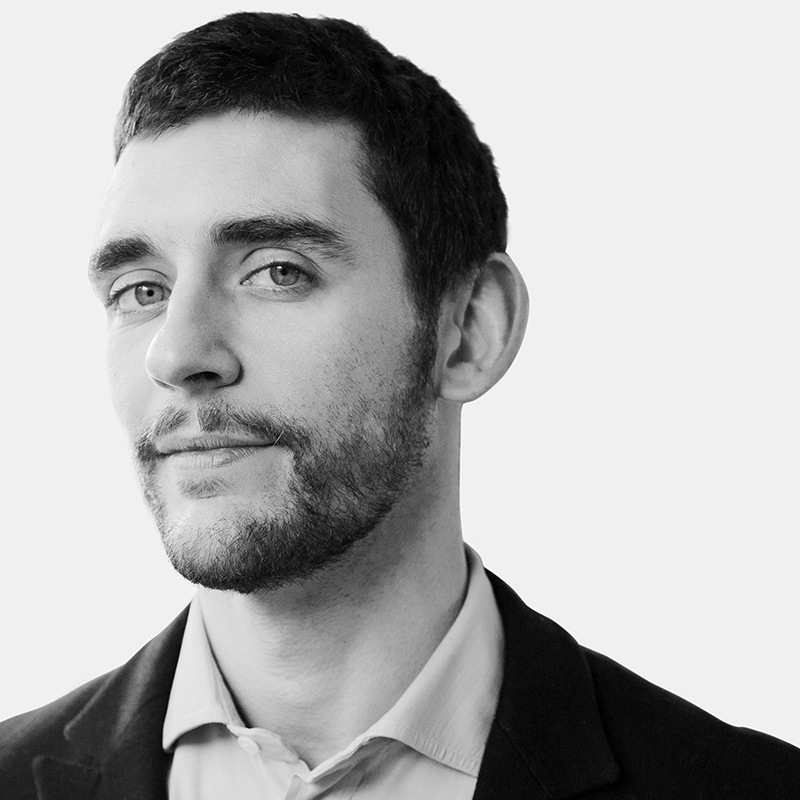 In 2015, he launched Hangar, a format for workshops in good digital communication practices, and in 2016 he became Product Manager with TOK.tv, an American digital services company. 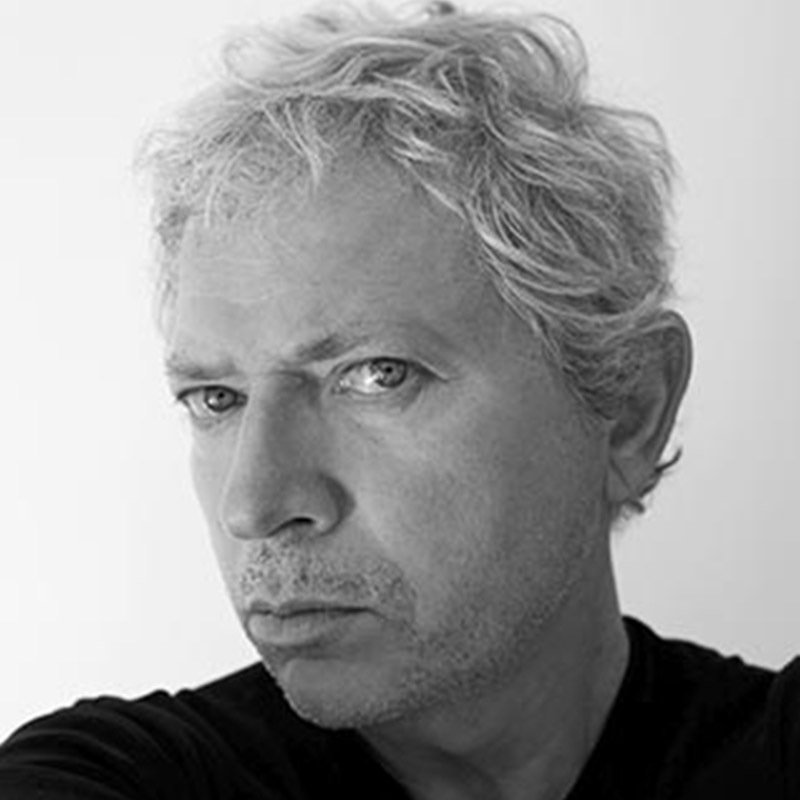 Born in 1958 in Legnano, Italy, he started dealing with photography and recorded the 1980 earthquake in the South of Italy. Shortly after, he obtained an ASSAP scholarship in advertising. The human body and design make up the core of his professional career, in which he has always sought to make the two converge. In 1990 he held his first solo exhibition at the gallery Il Diaframma in Milan. He collaborated with big names of the design world such as Enrico Baleri, Achille Castiglioni, Giovanni Levanti, Italo Lupi, Alessandro Mendini, Gaetano Pesce, Christoph Radl and Gianni Veneziano. He also contributed to several magazines, such as Stern, Esquire, Abitare, Domus, Interni magazine, Panorama, Class, Capital and GQ. 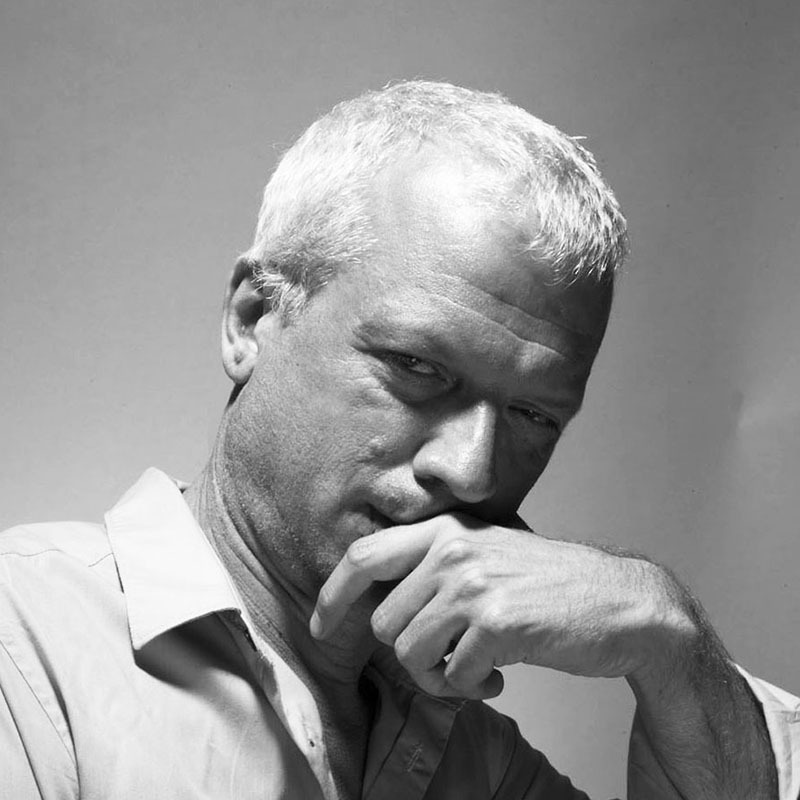 He signed campaigns for Cassina, Flexform, IBM, Prada and Baleri Italia. Since the 2013 edition of Fuorisalone he has been designing and conceiving a social network format for Mondadori. In the field of design photography, his main focus is to move beyond the dimension of the genre to embrace a transversal vision. In 1995 she graduated in Foreign Languages and Literature at the IULM in Milan, where she also completed a Ph.D. in Business Marketing and Communication from 2002 to 2005. From 2005 to 2008 she has been a teacher in the degree on Communication Sciences at Università Vita e Salute San Raffaele in Milan. 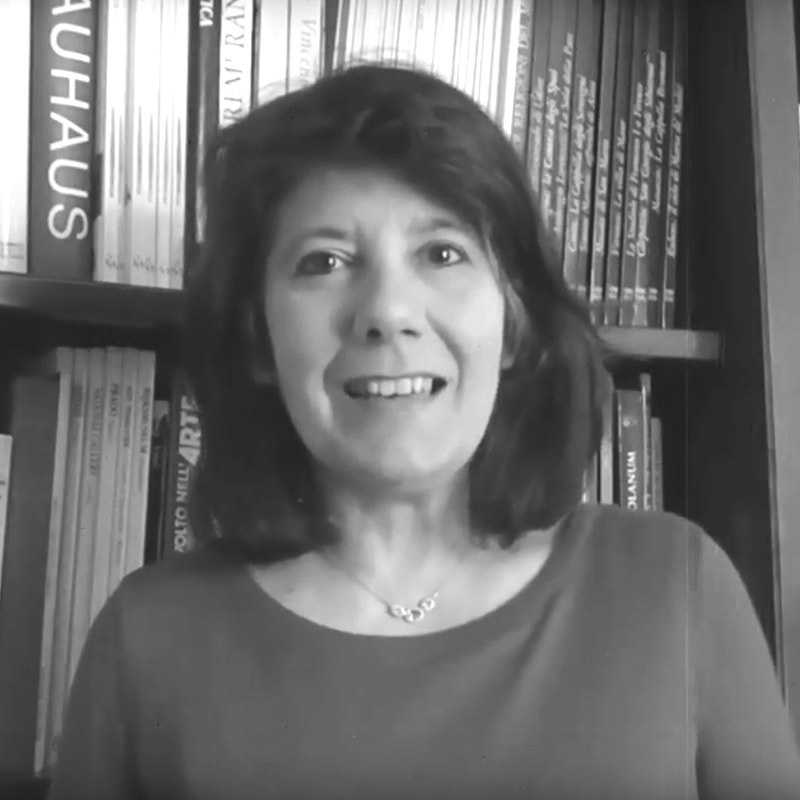 In the same period she has held seminars on advertising language in the UPA Master’s at Ca’ Foscari in Venice and has been a teacher at the Centro Sperimentale di Cinematografia per l’Impresa in Milan. Since 2009 she has been a researcher and teacher at the IULM. Her main research areas are gender representation in advertising, body representation in the media and sociology of communication and consumption trends. Among her publications are La pubblicità intelligente. L’uso dell’ironia in pubblicità (Intelligent Advertising. The use of Irony in Advertising) (2005), Communication mix. Come comunica l’impresa (Communication mix. How Businesses Communicate) (2007), Criminality show. La costruzione mediatica del colpevole (Criminality show. The mediatic construction of the culprit) (2010) and Pubblicità e valori. Nuovi consumi e nuovi messaggi per una società che cambia (Advertising and Values. New Consumptions and New Messages for a Changing Society) (2015). After taking his diploma in 1984 at the Arte e Messaggio Civic School of Applied Arts in Milan, Stefano Fabbri spent the period from 1986 to 1987 as assistant art director to Gino Ciccognani in the Studio Nuovi Prodotti advertising agency. In the two following years, he then pursued his career as an assistant art director further in the international agency Saatchi & Saatchi. From 1989 to 2005, he worked as a visualiser and illustrator with several leading agencies, including Saatchi & Saatchi, Verba DDB, J.W. Thompson and Bates. 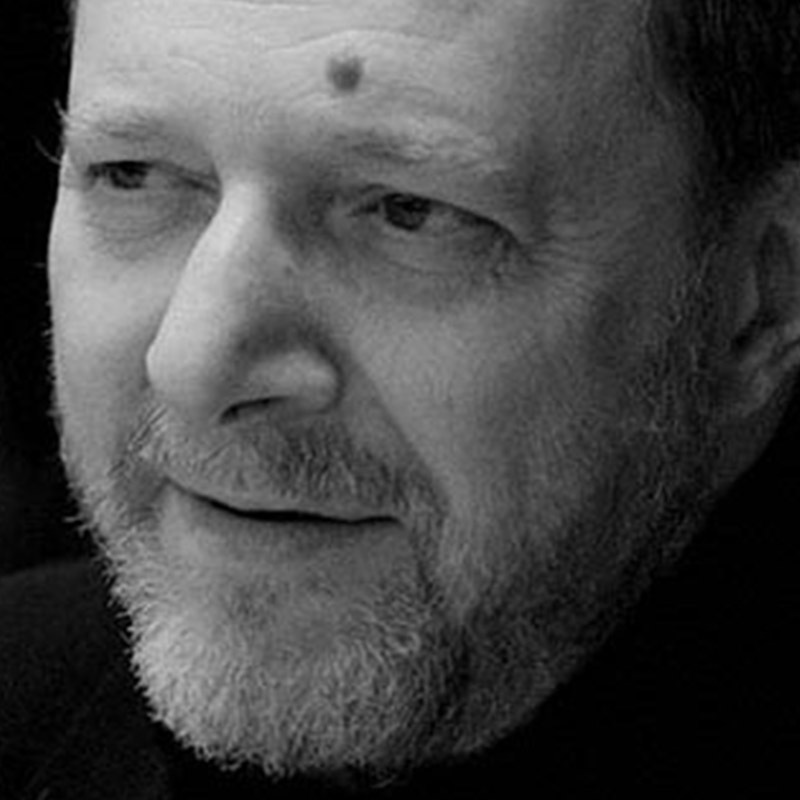 At present, he works regularly with several publications and publishers: the newspapers and magazines Corriere della Sera, Lo Specchio della Stampa, Auto Oggi, Le Scienze, Men’s Health, Panorama, Riders, Focus and Mente&Cervello and the publishers Feltrinelli, Stampa Alternativa, Mondadori, Besa and Helblings Languages. He has co-ordinated several illustration workshops at the Brera Academy of Fine Arts in Milan. In 2005, he won the Oesterheld Award at the Romacartoon International Cartoon Festival for his graphic novel Il monile di Bengasi, whose texts were written by the author Danilo Manera. 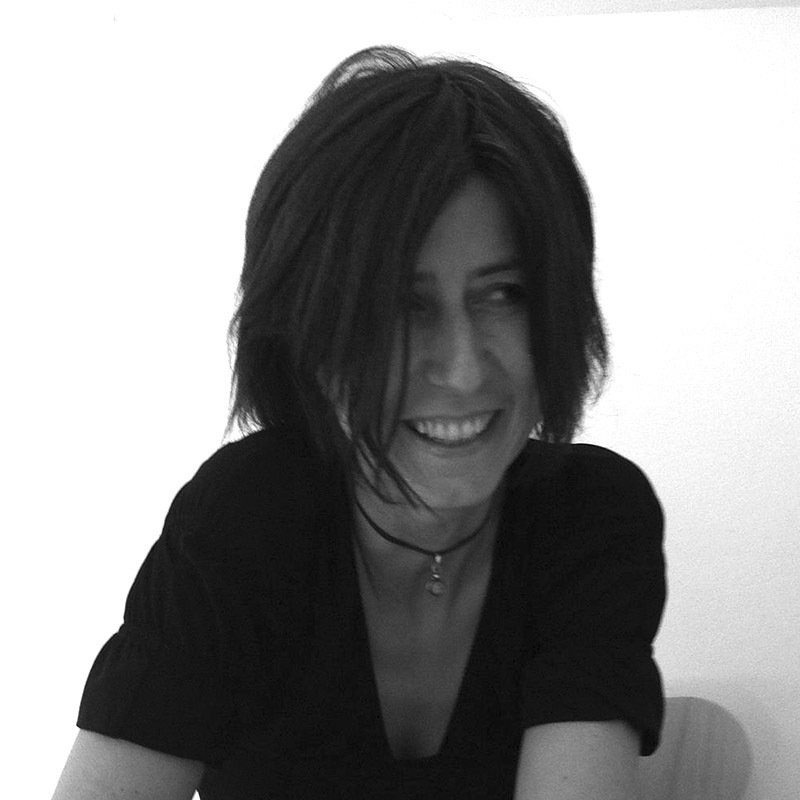 After graduating in Communication Design from Milan Polytechnic in 2005, Luisa Milani started working in the Leftloft graphic design office, where she stayed for five years and where she also achieved the realisation that graphic design is a passion for her first and only then also a job of work. She then founded La Tigre in 2009, an office that has worked successfully both in Italy and internationally from the very start. Over the years, the clients she has had the opportunity to develop projects for include The New York Times, The Guardian, Wired, the Süddeutsche Zeitung, IBM, Zucchi, Bassetti, ENI, Il Sole 24 Ore and Mondadori. After several years as an assistant at Milan Polytechnic and running several workshops, she started teaching in Turin in 2015. In 2012, she was named among the Young Guns by the Art Directors Club of New York. In 2014, she redesigned the logo of The Independent. In 2015, she received an acknowledgement from the Type Directors Club of New York and in 2016 one of her designs was selected as a finalist by the SPD, the Society of Publication Designers. 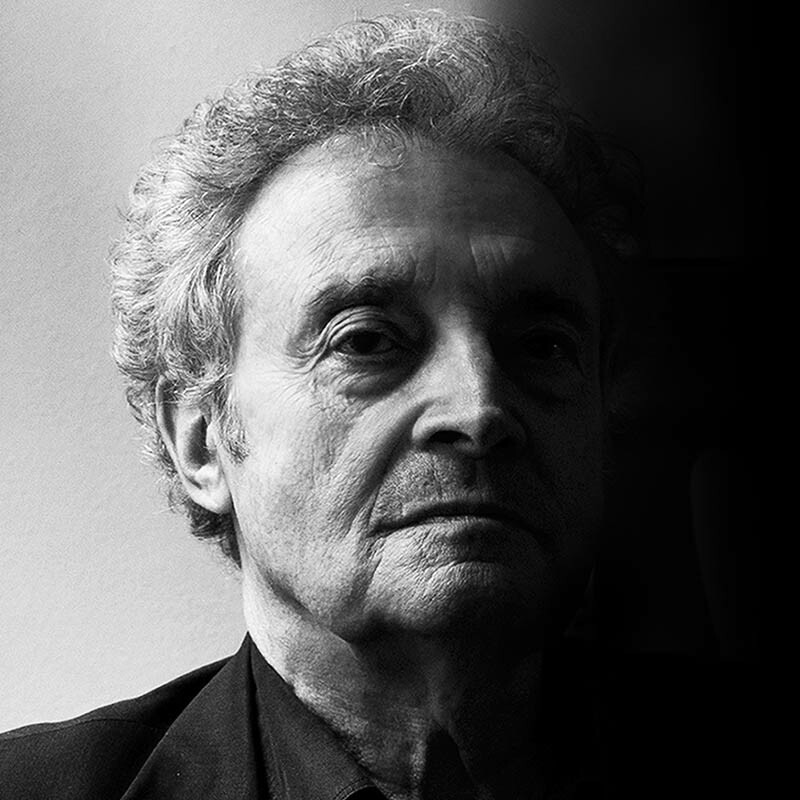 Born in Milan in 1940, Armando Milani is a leading figure on the Italian graphic and design scene. After studying at the Scuola Umanitaria under Albe Steiner, he started working with Antonio Boggeri and Giulio Confalonieri, before opening his own office in Milan in 1970. In 1977, he moved to New York, where he spent the next two years working with Massimo Vignelli, before opening his own office in that city, too, in 1979. 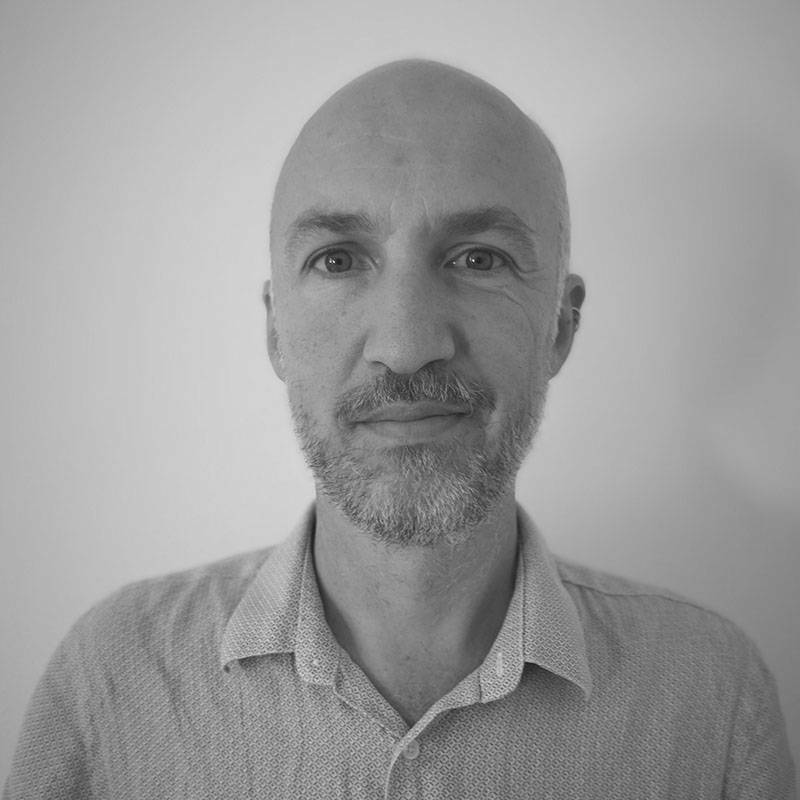 He specialises in branding and corporate identity systems, logo, publishing, posters and websites. 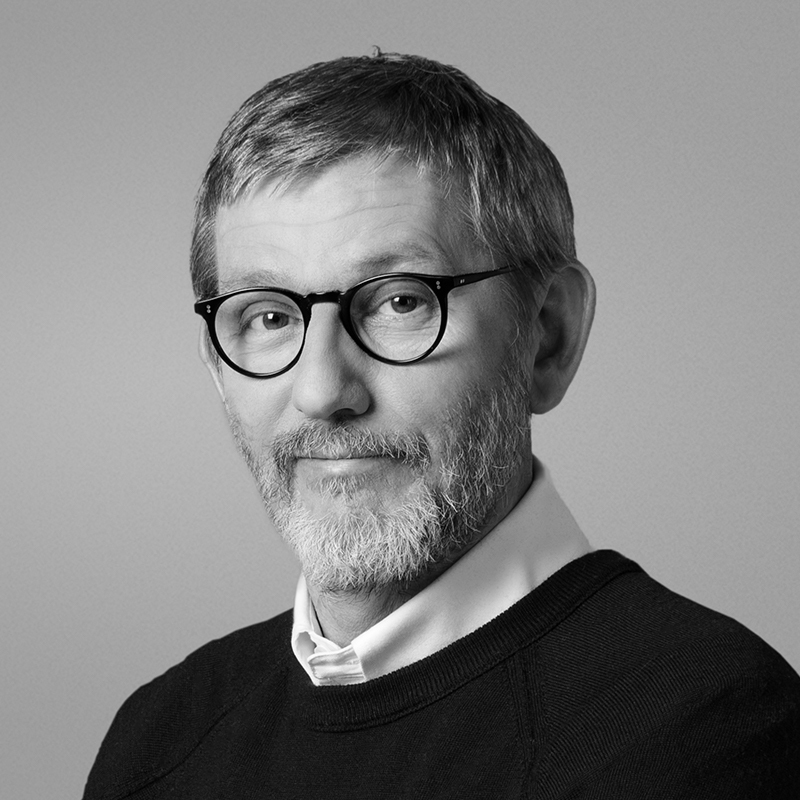 Since 1983 a member of the AGI Alliance Graphique Internationale, the association that brings together the world’s most authoritative graphic designers, he was elected to serve as its President in 2016. In 2004, he won an ADI Compasso d’Oro Award for a poster for the Promosedia event. In the same year, the United Nations published a poster of his promoting world peace, following it up in 2008 with the Human Design Collection. He has held courses in prestigious schools and universities in New York, Kansas City, Santo Domingo, Acapulco, Beijing, Lima, Karachi, Perugia, Milan, Naples, Santander, Brescia and Istanbul. Class of 1959, Marcello Francone studied graphic design and photography at the Monza State Institute of Art under AG Fronzoni. From Fronzoni, he acquired a very strong design approach that induced him to “investigate the substance of things, not to linger on the surface and to remove elements rather than to add them”. After his studies, he worked with Friedemann Kaltbrunner in the Contact Studio and partnered with G&R Associati and with the Anselmi Studio. 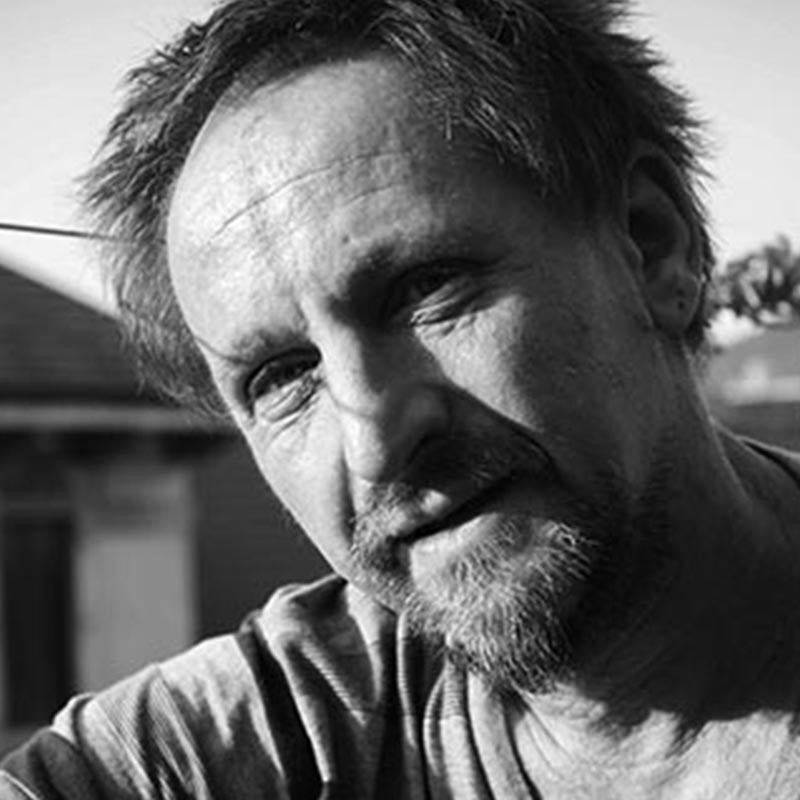 In 1983, he started acquiring experience in publishing with Electa, where he was made responsible for the graphic design office in 1985 and became art director in 1988. In 1994 to 2016, he started holding a course in publishing graphics for the third-year students at the Milan Academy of Communication. 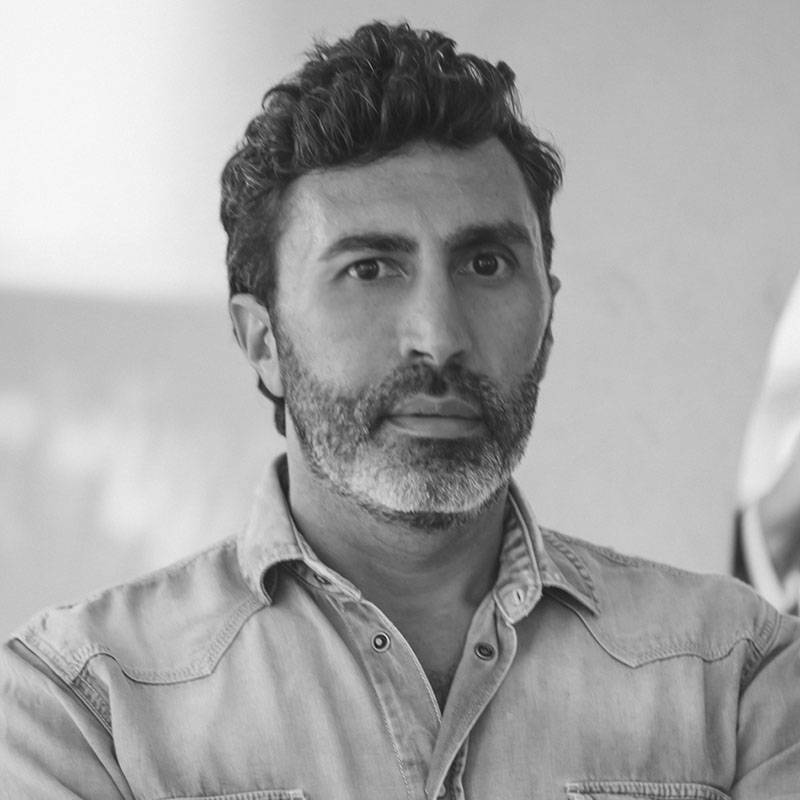 In 1995, he joined Skira, taking part in reviving the venerable art publisher’s fortunes, where he currently holds the position of Art Director. In 2005, he was Visiting Professor at the Milan Polytechnic Faculty of Design during which he conducted a worshop entitled "Drawing books that narrate design". Lucio Lazzara was born in Milan, where he graduated in Architecture from Milan Polytechnic after spending several years studying at the Aalto University School of Arts, Design and Architecture in Helsinki. After a period of experimentation in the field of graphic design and communication, in 2000 he founded the Zetalab design office, where he is still an active partner today. 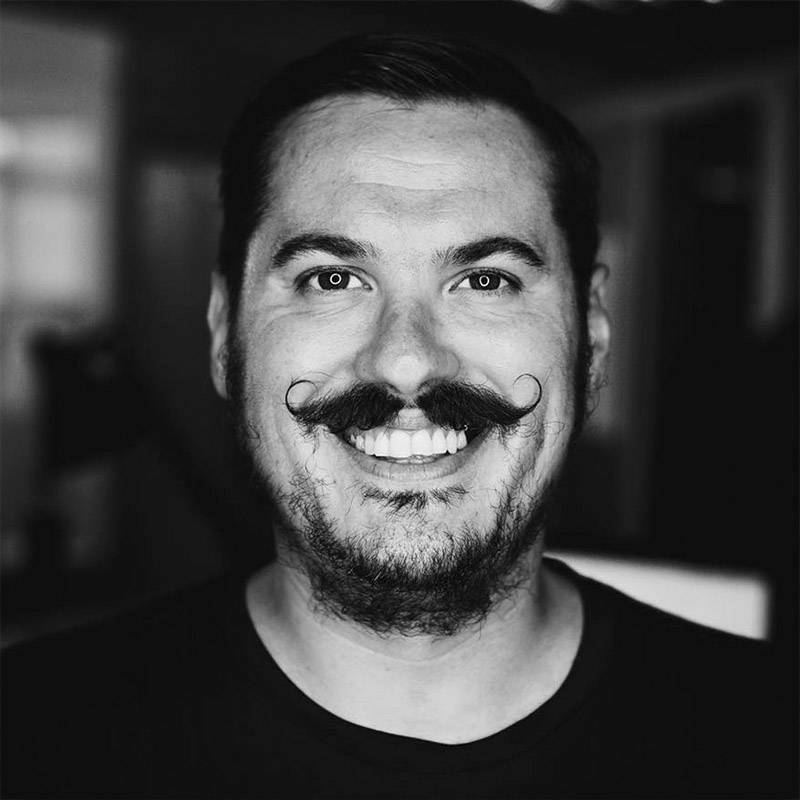 He has taken an interest in many different facets of design work, ranging from brand design and publishing graphics to exhibition and interaction design and photography. Underlying his method is his trust in knowledge and analysis as the foundation-stones of creativity. His clients have included esterni, Mondadori, Rizzoli, Mediaset, Internazionale, Smemoranda and the Milan Triennale and he has designed communications, spaces and events for Moleskine. He has lectured at Milan Polytechnic. He is one of the founder members of the Ministero della Grafica, a very lively cultural association whose aim is to nurture and strengthen design culture. Graduated in Design at Politecnico di Milano, he is one of the founders of ROCKIT (www.rockit.it), a landmark for Italian music. In 2005 he created MI AMI (www.miamifestival.it), one of the main music festivals in Italy. 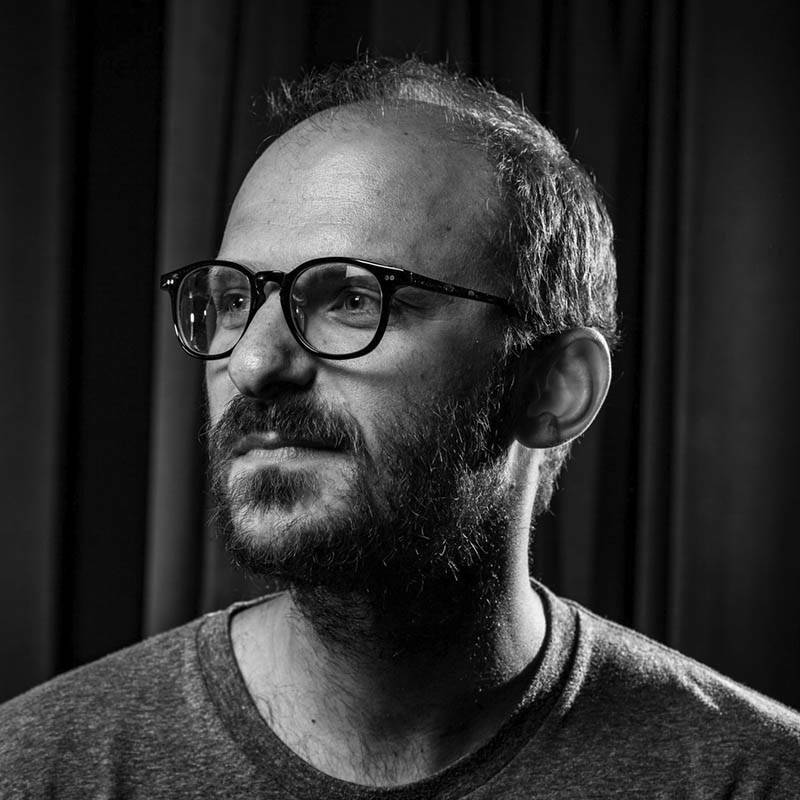 After working with and for Universal Music France, ENT design Paris, Artclair Edition Paris, Edizioni Zero Milano, he is currently CEO of Better Days (www.betterdays.it), a hybrid company operating both as a publishing house and as a creative agency. Better Days currently manages Rockit.it, Dailybest.it and Dailyfood.it as well as the MI AMI festival. The company is in charge of the image of some important projects such as the Italia Music Export of SIAE and curator of street art/illustration exhibits all over Italy. Michele Genghi has over 15 years of experience in the field of branding and visual communication. 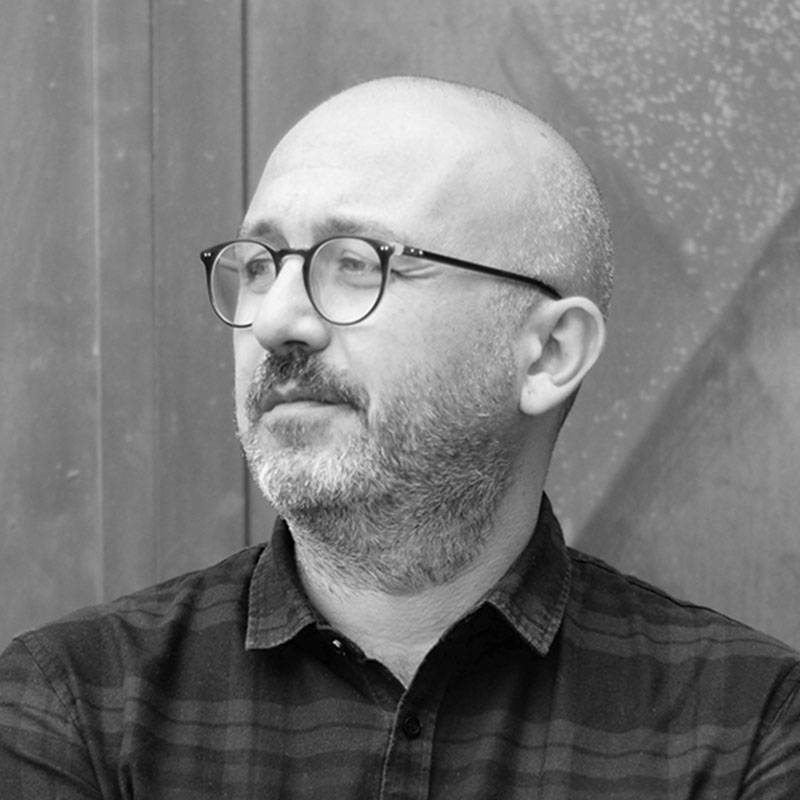 He was the creative director of Landor Milano for five years and led the studio through multi-channel branding projects for important Italian and international clients, with skills ranging from visual identity to digital branding, sound branding, customer experience and way-finding environment design projects. Graduated in History and Criticism of Art at Università Statale di Milano, he is a documentary maker, writer, and has been collaborating with artist Velasco Vitali since 2009. Since 2009 he has been working with CICAE (Confédération Internationale des Cinéma d’Art e d’Essai), teaching courses and holding lectures in various Italian universities (Università Bicocca of Milan, Università degli Studi di Pavia e di Milano, IULM, Università degli studi di Parma) and international campuses. In 2012 he published his first book of short stories 24 Fotogrammi: storia aneddotica del cinema (Secondavista Edizioni, 2012). Il Gesto delle Mani (The Gesture of Hands), his first full-length documentary, was presented at the 2015 Berlin International Film Festival in the category FORUM, where he was awarded the International Critics Award FIPRESCI. In 2017, on the occasion of Giancarlo Vitali’s solo painting exhibition, he organised a documentary/portrait of the artist at Palazzo Reale (Milan) “TIME OUT”. His works have been presented in various festivals and art institutions worldwide. 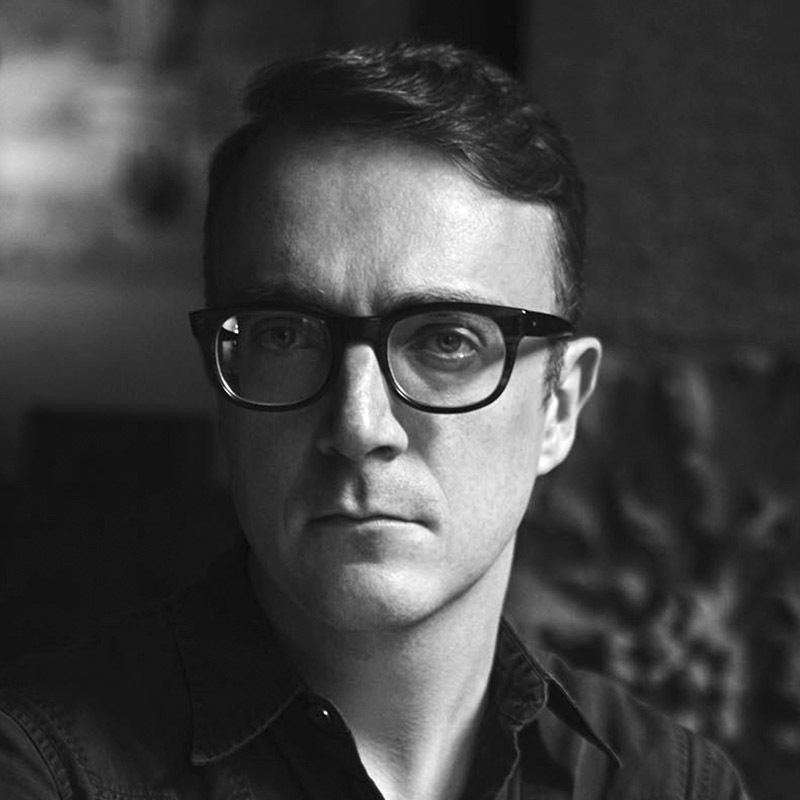 With a diploma in theatre direction at Scuola d’arte drammatica Paolo Grassi, he took a Master’s degree in Fine Arts in Screenwriting/Directing at Columbia University in New York. For many years, he has been working in the field of Movies, Advertising and Television ranging from cinematic/documentary projects to productions of commercials and branded contents for web and TV. His first movie Cavalli was presented at the 68th Venice Biennale of Cinema. In 2017 his documentary Mexico! Un Cinema alla riscossa was released in Italian movie theatres. He is one of the founders of the web radio Radio Raheem. After his diploma in Illustration and Animation, Donati worked in Paris as an animator for a software house specialising in iPad apps. 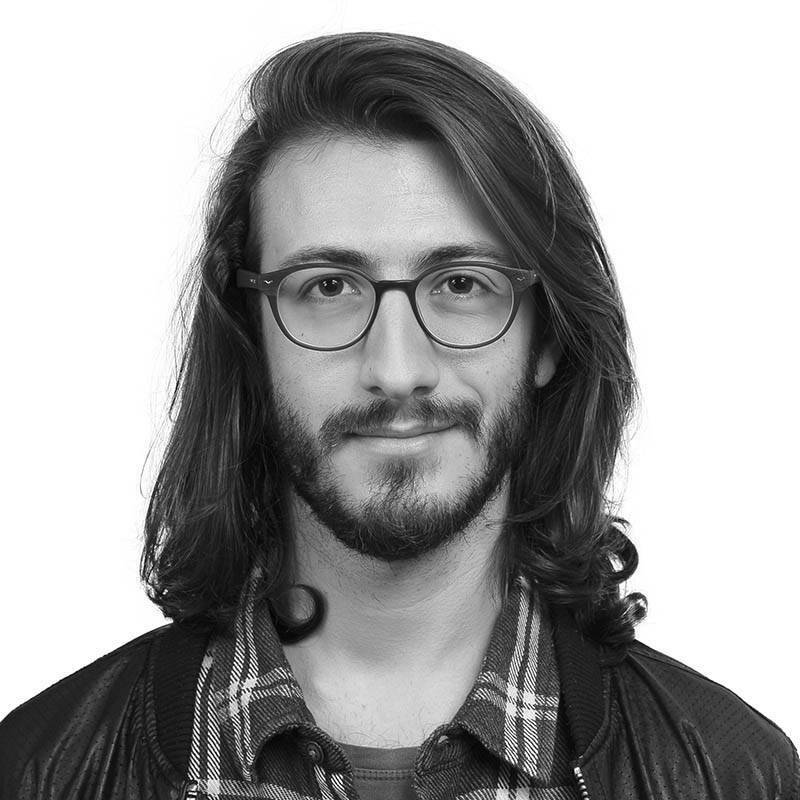 Once back in Milan, he continued his professional growth as motion graphic designer for a well-known advertising post-production house, working for large enterprises like Barilla, Armani, Volkswagen, Mulino Bianco and other important Italian brands. 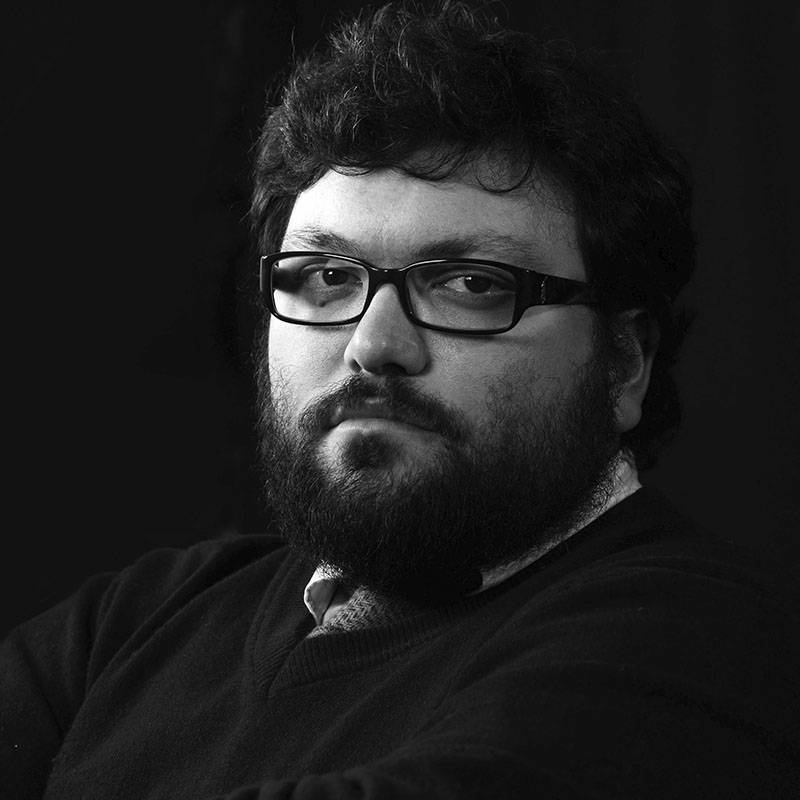 Today he is a consultant for Sky and other communication agencies in Milan, where he produces visual motion graphic contents applied to television, cinema and events. 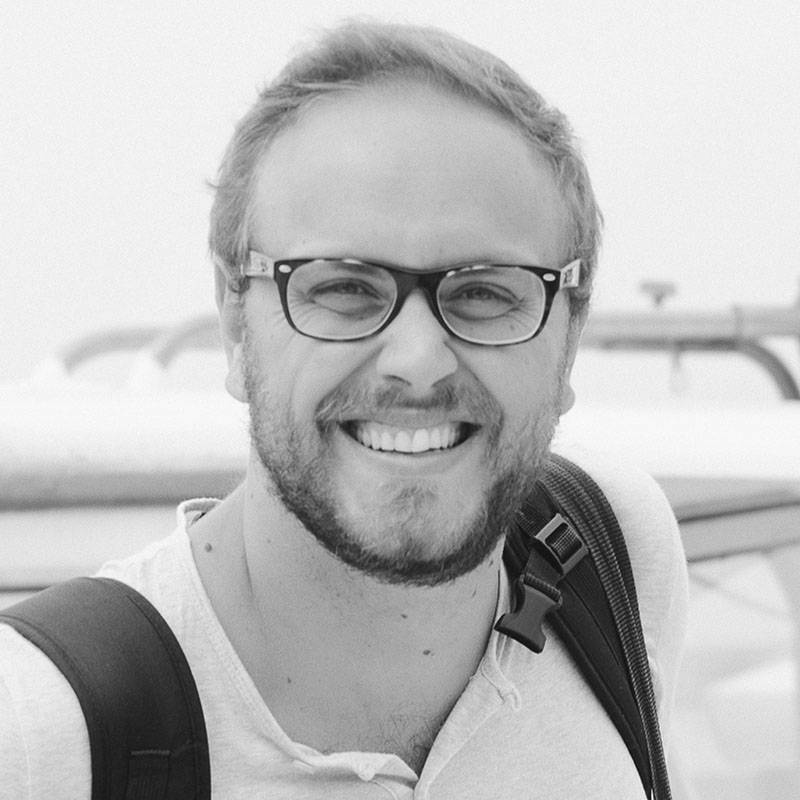 Since 2016 he has been combining his professional activity as a designer with teaching. 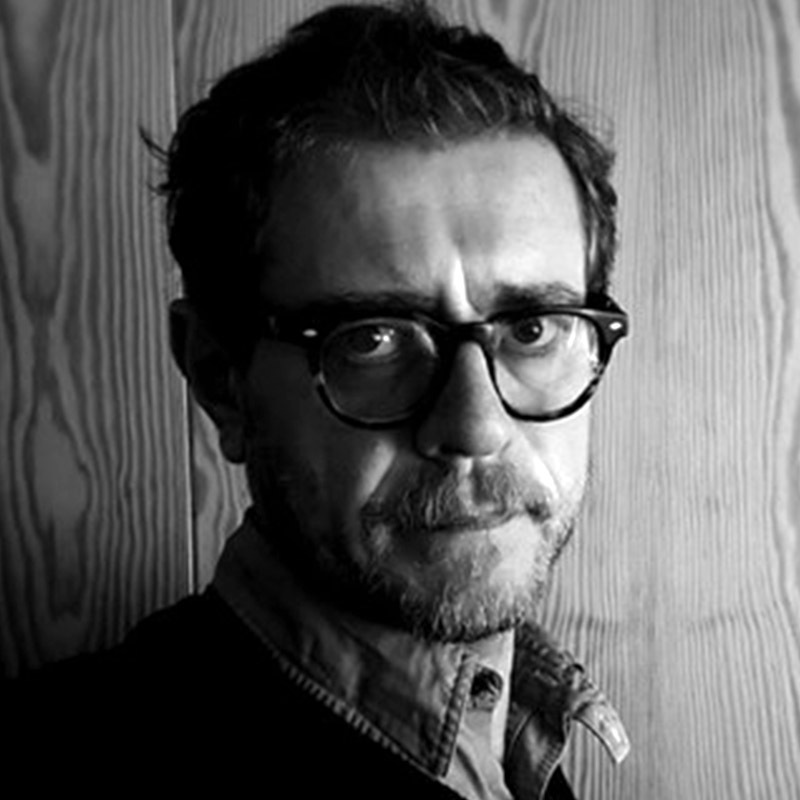 Artist, journalist, critic, he has been an art director for Corriere della Sera for many years, and continues to write for the newspaper on topics such as art, photography and visual communication. Strong with his iconological and iconographic experience in the newspaper, he has long been carrying out research on the dialogue between images and words. His artistic research on the past and on the stratification of the human glance has been exhibited in public spaces and museums such as Arengario in Milan (1998), Centro Cultural Recoleta in Buenos Aires (2002), Manege Museum in Saint Petersburg (2003), MADRE in Naples (2011), IVAM in Valencia (2011), Fondazione Marconi (2012) and Galleria d’Arte Moderna e Contemporanea in Pordenone (2013). After teaching at Università Cattolica di Milano and at Institute for the Preservation of Cultural Heritage of Università di Parma, he currently teaches at RM-Raffles Milan and is a professor of Photographic Theory and Techniques at the IULM in Milan. Paolo Giacomazzi took a degree in Exhibition Design at the Politecnico di Milano and at the same time studied music, obtaining a diploma in transverse flute at the Conservatory of Piacenza. 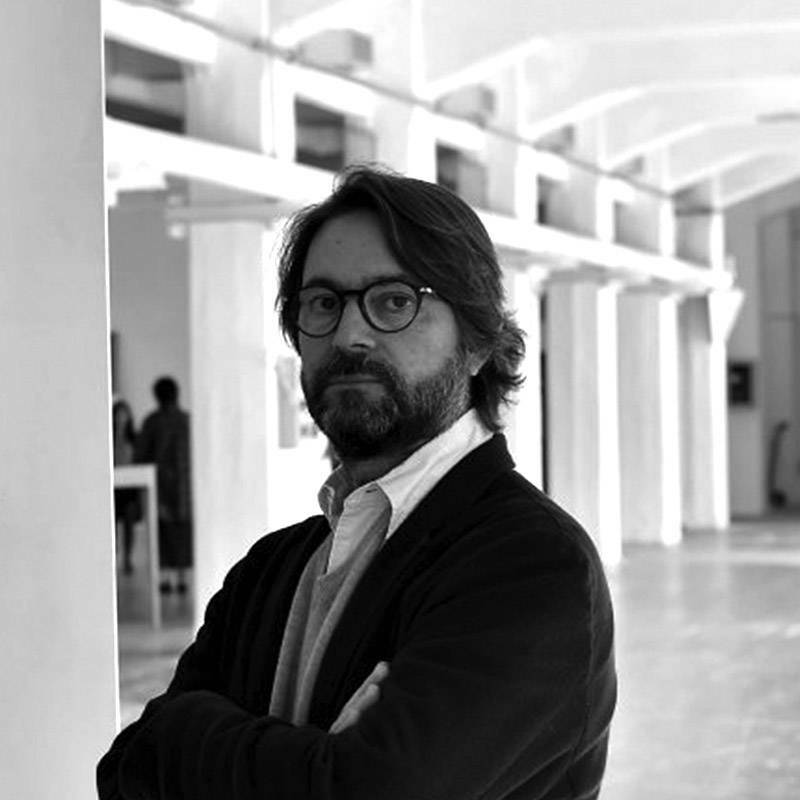 He worked for important design studios in Milan such as Origoni e Steiner Architetti associati, Odoardo Fioravanti Design Studio, and Migliore e Servetto Architetti Associati. In 2009 he opened his own studio with the precise aim of designing communication spaces. This research has led him to fields that range from interior design to exhibition design, and has allowed him to also explore and apply Visual Design in his work. Claudia Neri was professionally (and spiritually) educated in North America, where she gained a long experience in the field of branding. 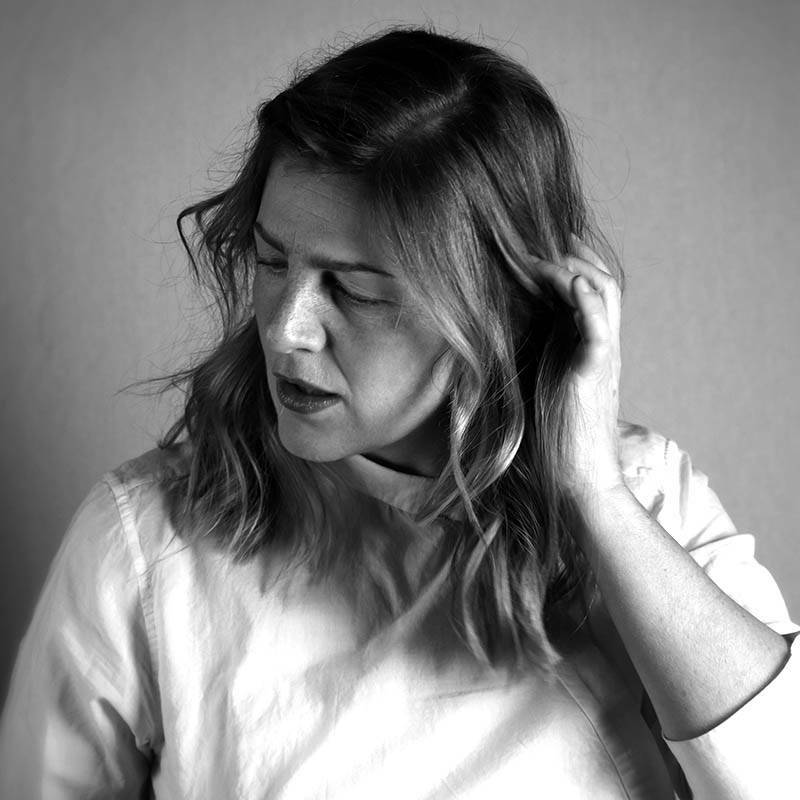 She founded and currently manages Teikna Design in Milan, a creative, award-winning boutique specialised in brand identity and editorial projects. 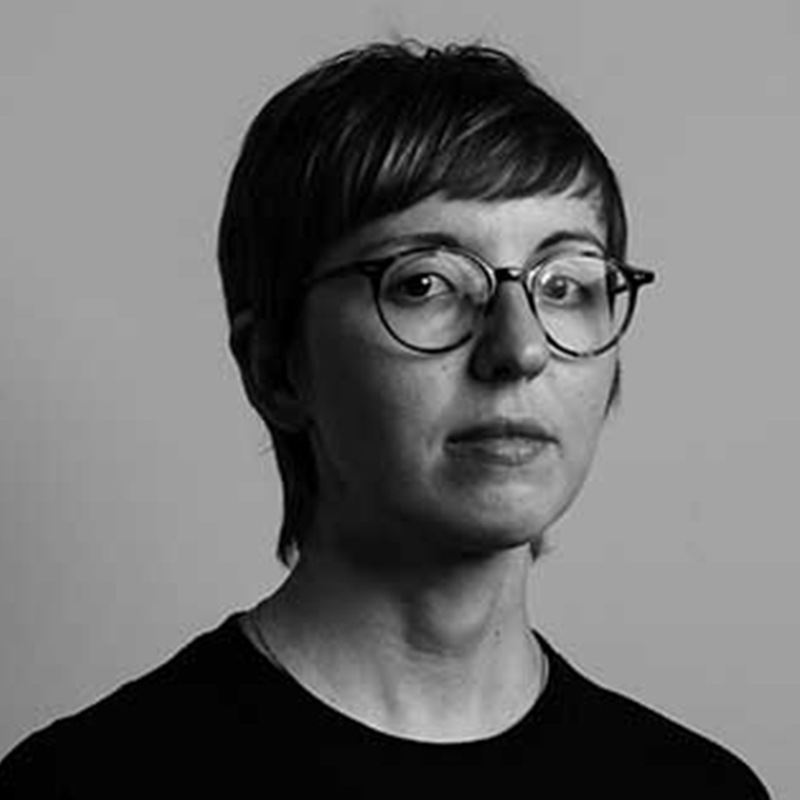 Her work is characterised by a content-driven approach combined with creative solutions that have received many acknowledgements, such as Communication Arts, Chicago Museum of Architecture and Design, American Institute of Graphic Arts (AIGA) and Graphis. She has worked for clients both in Europe and overseas and recently signed the brand identity of the new Museum of Italian Judaism (MEIS). She is a designer and art director for FAO/ United Nations. She collaborated with universities such as IED, NABA and Fondazione Guggenheim in Venice. A member of the Jury in Cannes, the Art Director’s Club in New York, and the Art Director’s Club of Europe. She has been member of the Visual Design committee for the ADI Compasso d’oro. She regularly writes a blog on visual communication on the website of the ADCI Art Director’s Club Italiano. 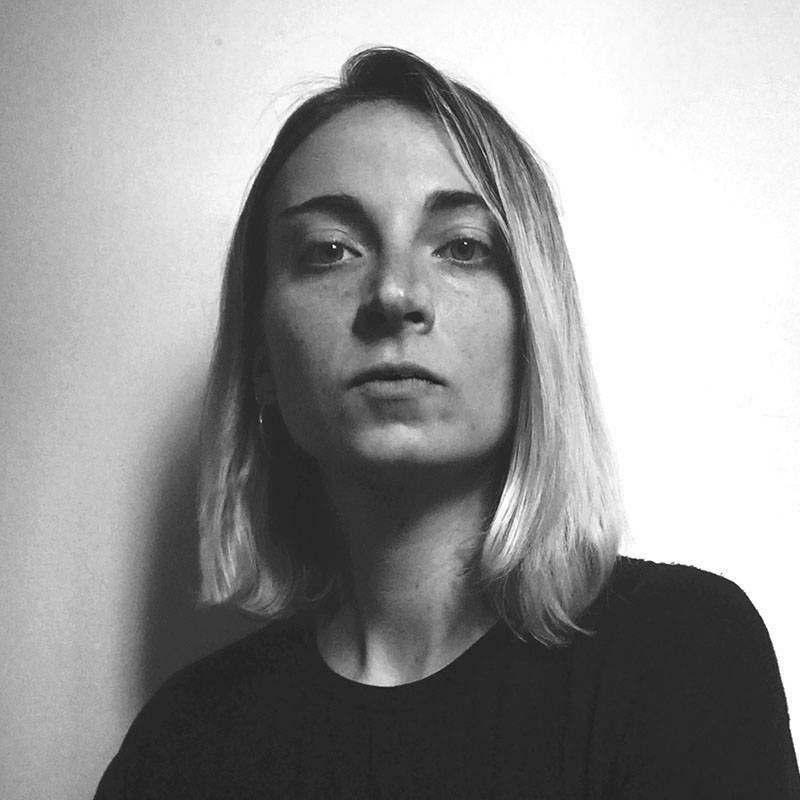 Graphic and Experience designer, she started her professional activity at the newspaper Il Sole 24 Ore in 2014, after studying Communication Design at IUAV in Venice. 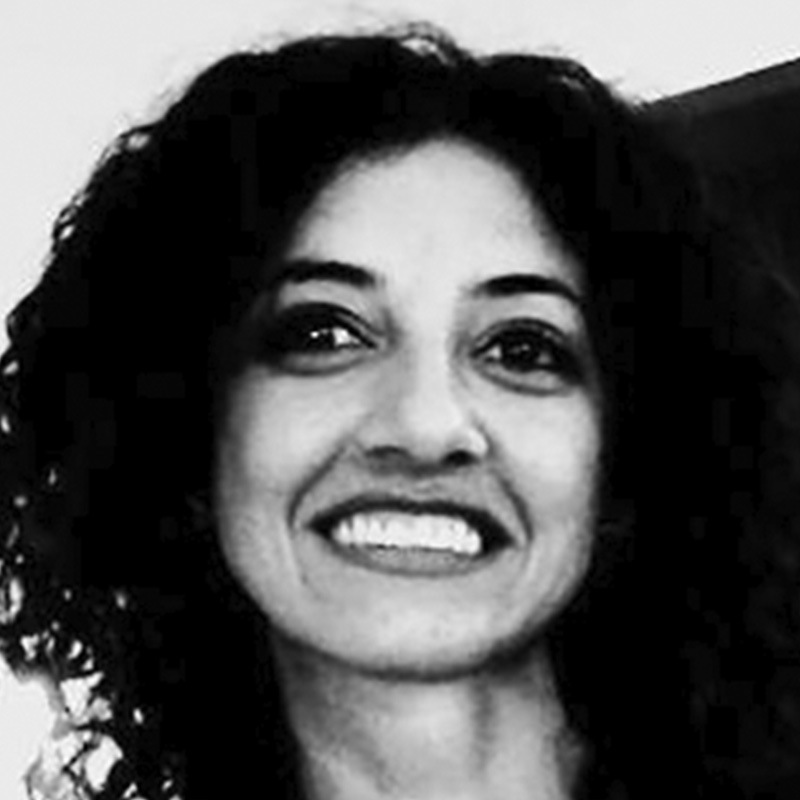 Here, she had the chance to redesign the user experience and interface of Radio 24 and Il Sole 24 Ore. After collaborating with several communication agencies in Milan, in 2016 she joined the staff of studio Pomo where she mainly worked on research, concept and web design projects for clients in the fashion and luxury industry, such as Fornasetti, Santoni and La Rinascente. A curious designer with a high interest in new digital scenarios, her projects highlight a strong balance between user experience and the search of new communication languages. She is currently working as a consultant and freelance designer and is a member of the group SoapOpera Fanzine. 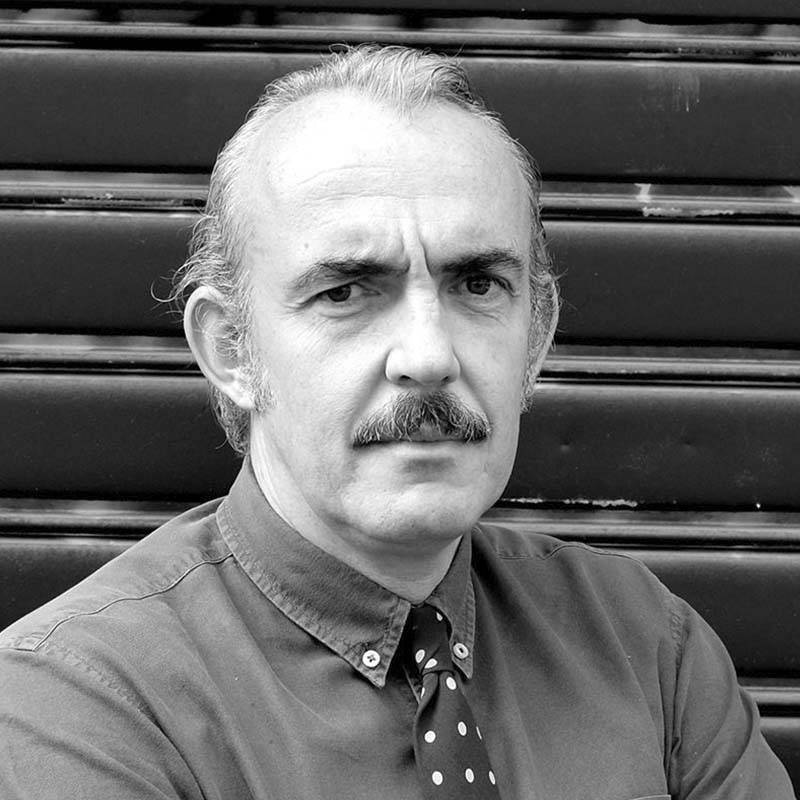 Born in London, Binfield graduated from St.Martin’s School of Art and and Pentagram, with Alan Fletcher. After that she moved to Rome and then to Milan, where she currently lives and works. Over the last few years she has been working in graphic design, illustration, and has created several personal works. A monograph of her work was published by Edizioni Charta (1995). The awards and acknowledgements she has received include: Best Illustrated Book of the year with N.3. Che mistero nasconde il giardino dei vicini?, published by Topipittori (2005, two awards), D&AD British Design and Art Direction, European Illustration, Art Directors’ Club Italiano and Associazione Illustratori Italiani. Throughout her career, she has collaborated with various schools where she painted murals with students. In 2013, she created an installation commissioned by the Politecnico and by the Municipality of Milan in piazza Leonardo da Vinci. 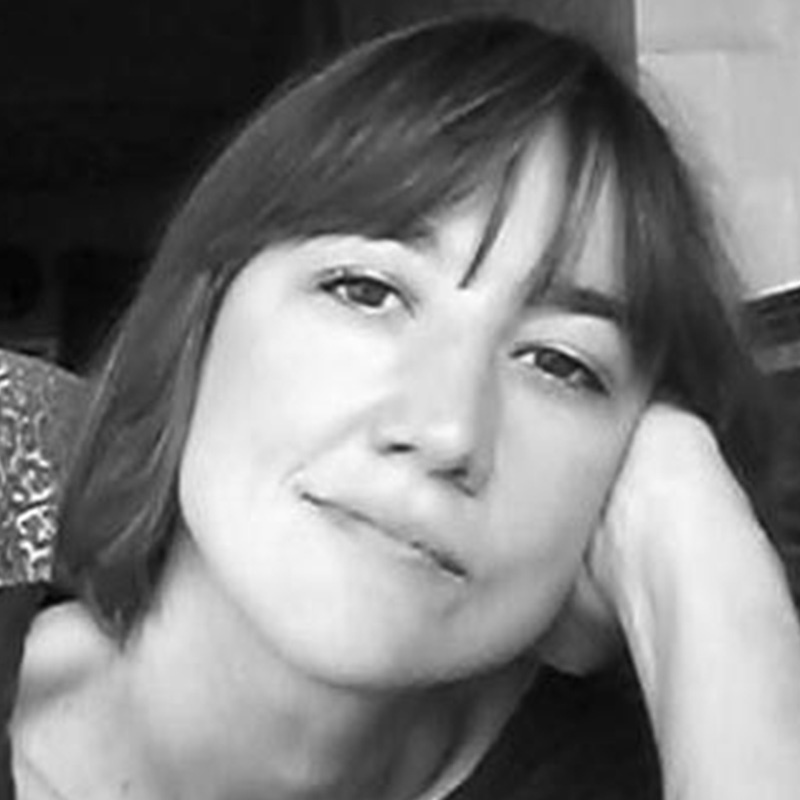 She has exhibited her projects in several exhibitions in Italy and the UK. Pasquale Di Meglio studied art and specialised in the Art of Printing. After a first period spent in various graphic design agencies and an experience in the publishing industry, in 2004 he founded Studio41, a design studio that will gave life to several collaborations in the field of cultural communication. 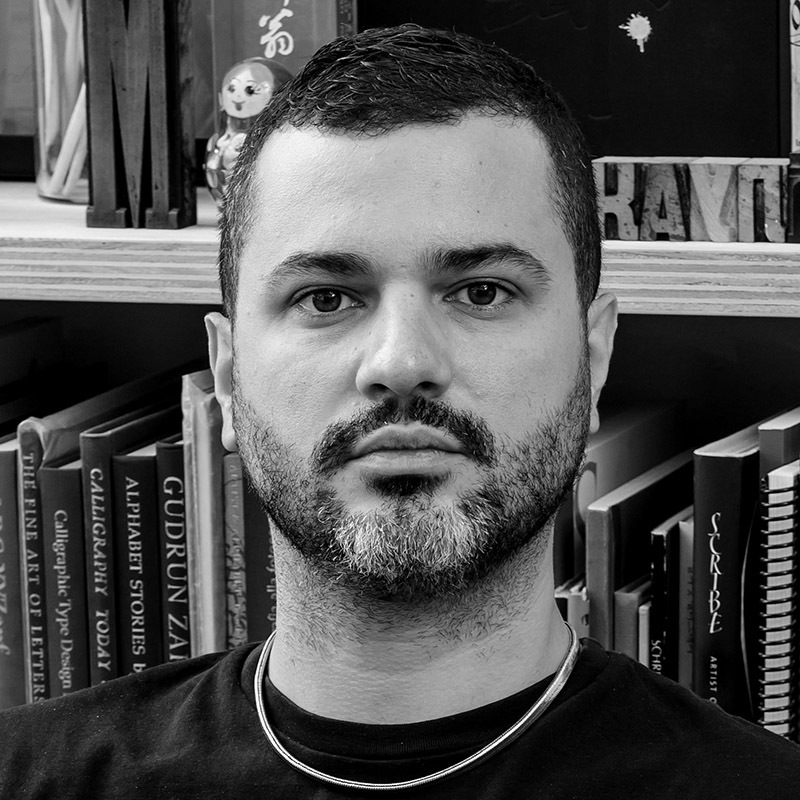 In 2010 he moved to Milan where he started working for Lumen, branding agency that allowed him to enter into contact with many Italian and international brands. 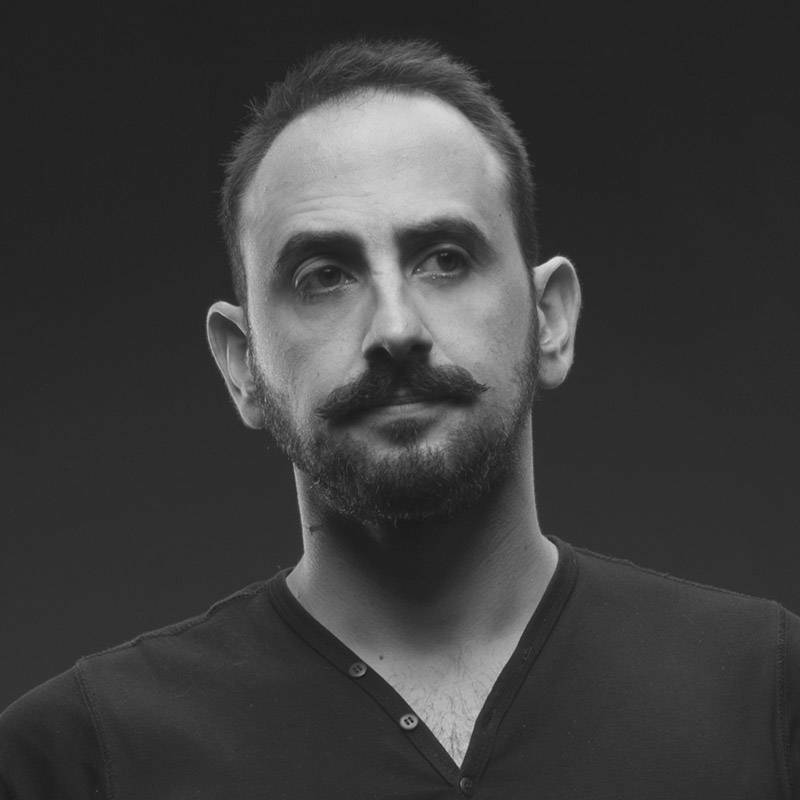 Since 2014 he has been the Design Director at CBA, a brand design agency of the WPP group, which offers a global perspective on the world of branding and design thanks to its international team. 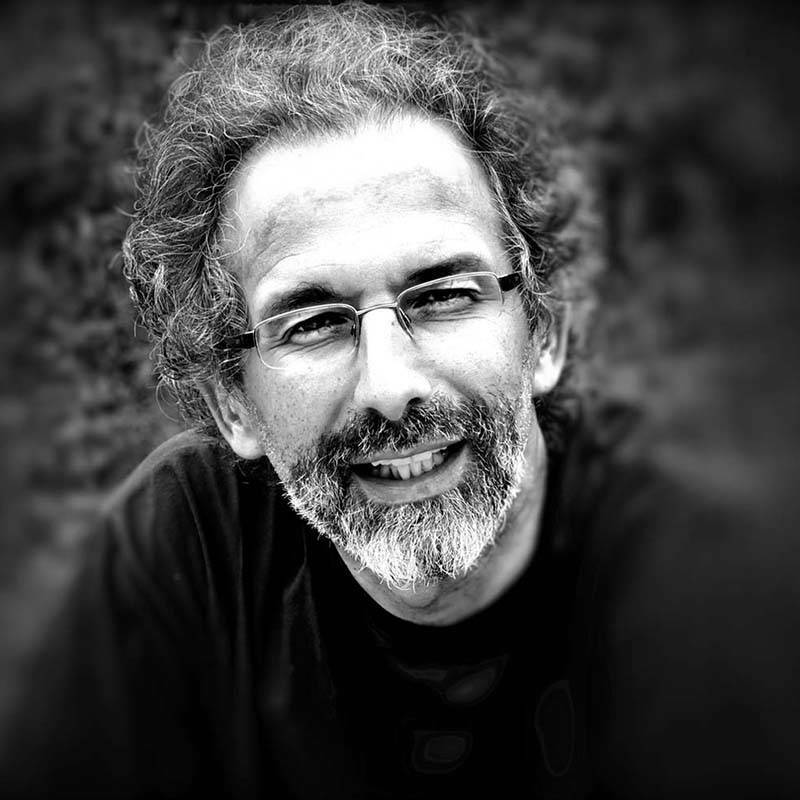 Vagni is a teacher of Media Sociology at the University of Macerata and at the IULM in Milan, where he currently works as a researcher. He completed a Ph.D. in Sociology with a co-tutoring between IULM and The Sorbonne. He is a member of the Centre d’Études sur l'Actuel et le Quotidien (CEAQ) and held a fellowship at the ATOPOS international research centre of Universidade de São Paulo (ECA-USP). His works focus on cultural industry, social media and gastronomy. He directs the book series iMedia at Edizioni Estemporanee (Rome) and collaborates with Gruppo Editoriale L’Espresso and with the magazine Mark Up. He has edited the Italian version of several essays on media theory, among which is Patrice Flichy’s La società degli amatori. Sociologia delle passioni ordinarie nell’era digitale (Naples 2014). His last book is Abitare la TV. Teorie, immaginari, reality show (Milan, 2017). 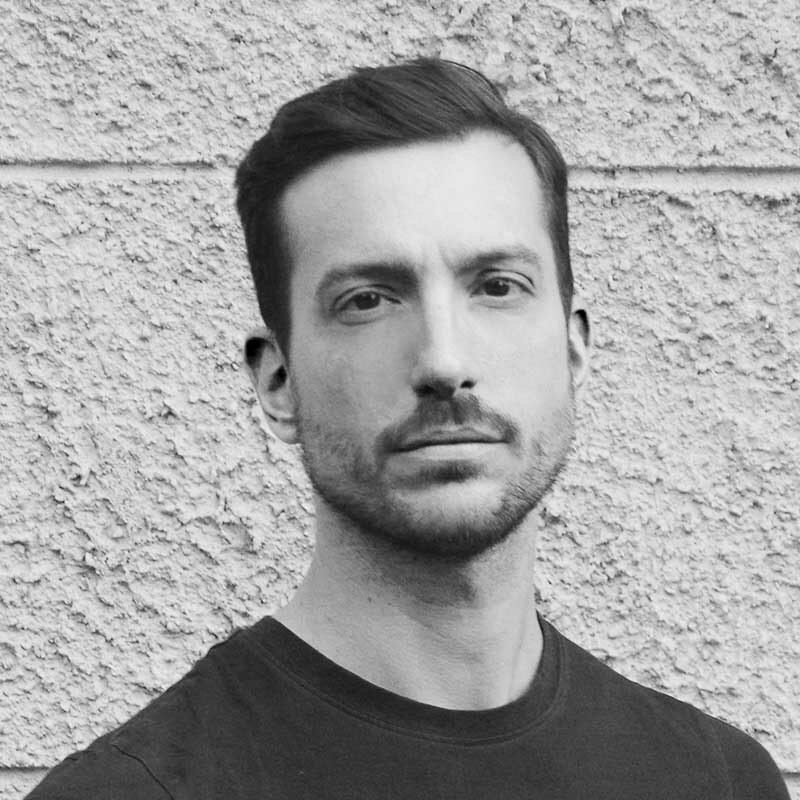 After a degree in Graphic Design and Multimedia and a Master’s degree in Advertising at IED Milan, he started working as Art Director for different Italian and international advertising agencies (Lorenzo Marini, TBWA, Ogilvy & Mather). 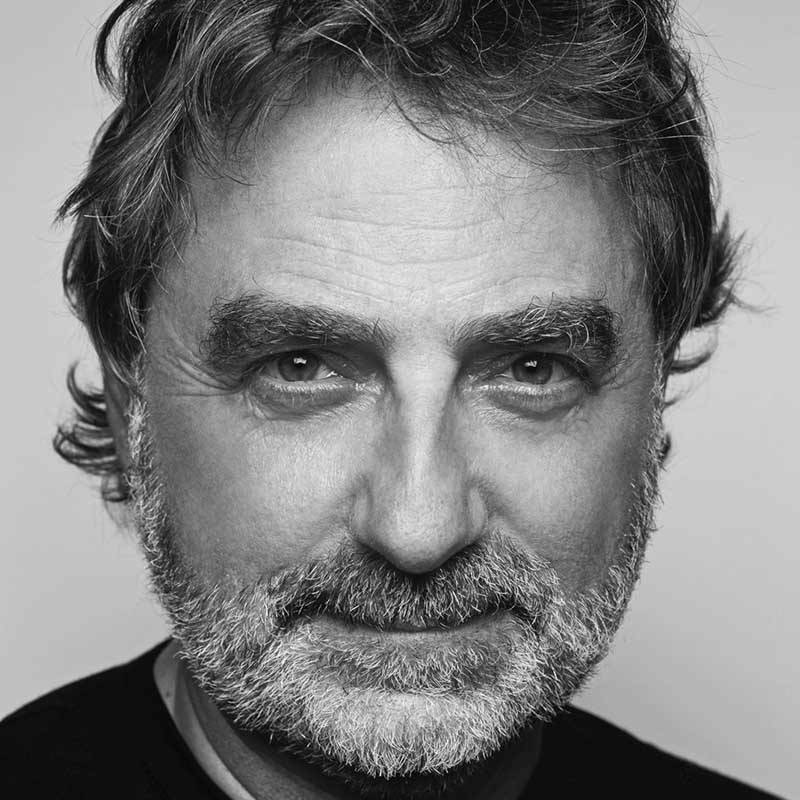 He worked on advertising campaigns for clients like Levissima, ING, Gazzetta dello Sport, Corriere della Sera, Nestlè, Eni and Paramount Channel. He received several awards among which are 2 golds, 1 silver and 2 bronzes at the ADCI Awards and was included in a shortlist at the Cannes Lions Awards. Before teaching at RM_Raffles Milan, he was a teacher at IED (Milan) and a Coordinator and Teacher of the chair in Graphic Design and Multimedia at the Academy of Fine Arts (Brescia). Graduated at Concordia University in Montreal, she opened her first studio in the same city. 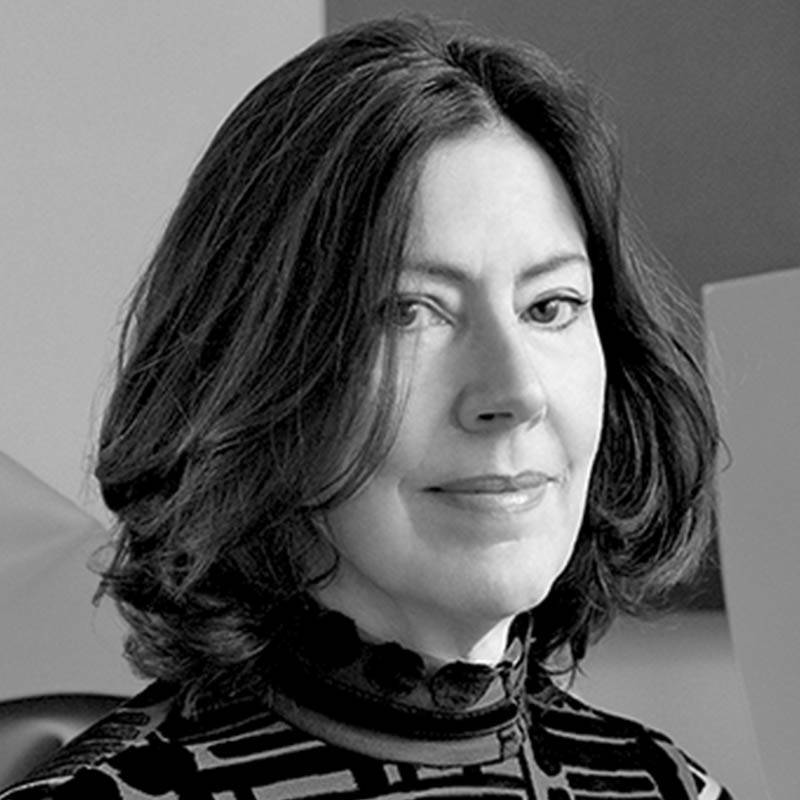 She then moved to Milan in 1980s, where, after a collaboration with studio Pierluigi Cerri/Gregotti Associati International, she became the Design Director in the Benetton and Prada Groups. Her clients include: Barilla, Bulgari, Ferragamo, Fabriano, Fedrigoni, Knoll, Moleskine, San Carlo, Swatch, TV5 and Vatican (she was a member of the multi-award winning team that designed the Holy See Pavilion at Milan EXPO 2015). Her works were published, exhibited and awarded worldwide. Speaker in many design conferences and a member of international panels, she was teacher at IUAV (Venice) and visiting professor in many international universities. For her merits Ginette was nominated member of the Royal Academy of Arts and appointed International Ambassador Canada 150 by the Minister of Canadian Heritage in 2017, on the occasion of the 150th anniversary of the Confederation. Dennel studied Graphic Design at the École Supérieure d’Art et de Design d’Amiens. After his graduation, he worked in Berlin for a year, where he collaborated with Katja Gretzinger and the studio Neue Gestaltung. He then returned to France and spent the next ten years working with clients such as the Ministère de la Culture et de la Communication, the Centre National des Arts Plastiques, and the magazine Arch+. 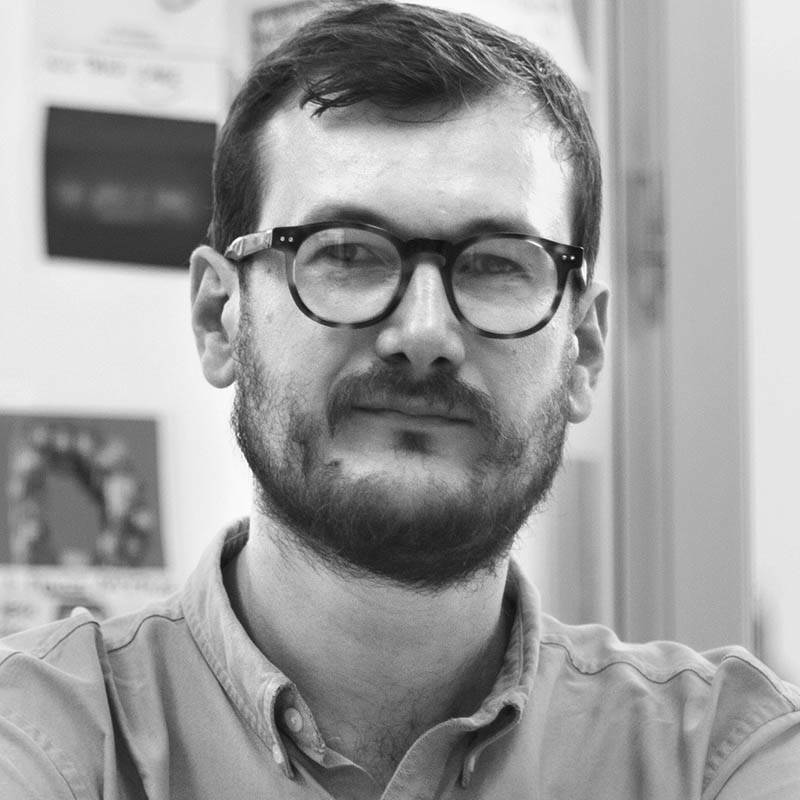 Pedagogy and the transmission of knowledge play an important role in his approach to design: he has been teaching since 2012, is regularly involved in workshops, and frequently collaborates with Villa Medici. 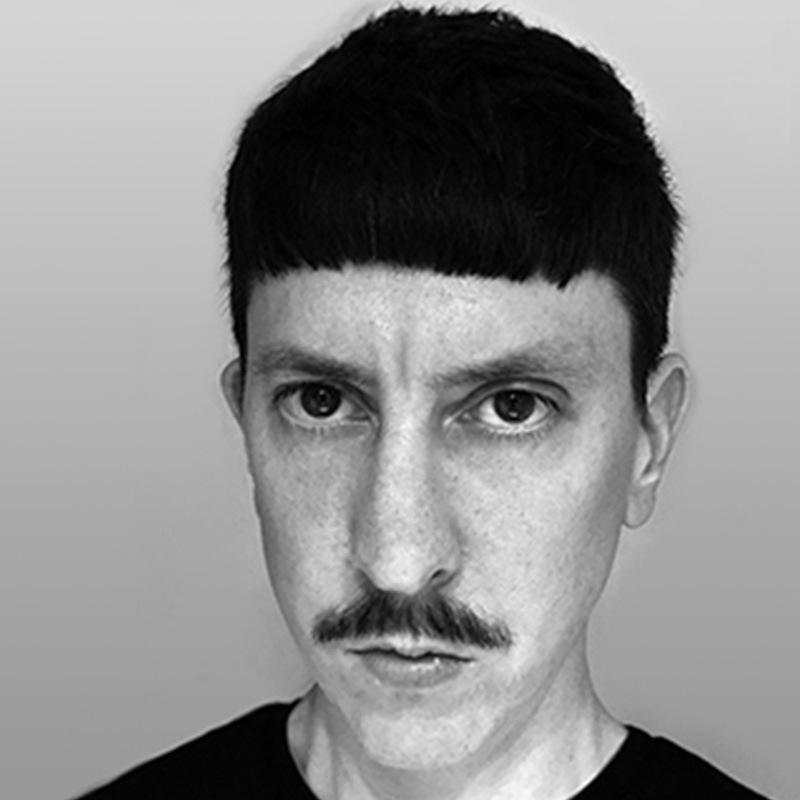 He is currently collaborating with studio Pomo in Milan and manages various artistic direction projects, especially for Mila Schön and the pastry shop Marchesi. His works were exhibited at the MoMA in New York, and are now part of the museum’s permanent collection. After a degree in Communication at the Università di Bologna she completed a Ph.D. in Semiotics at the Scuola Superiore di Studi Umanistici di Umberto Eco. 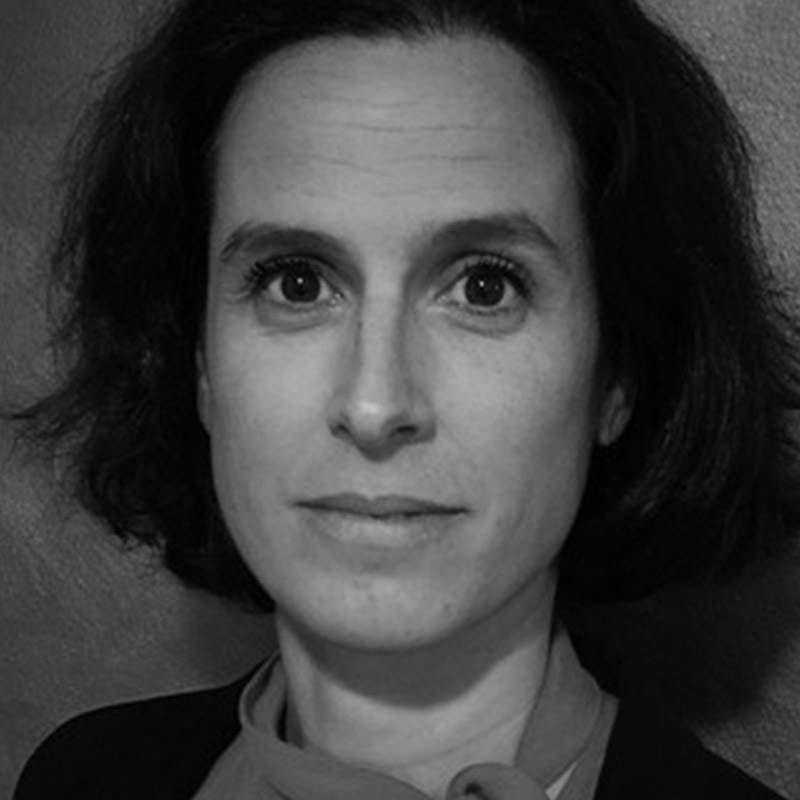 She is specialised in the analysis of the media and of social stereotypes and studies the representation of gender in advertising and social advertising. Parallel with her scientific interests, she also works as a content manager and web writer. She has worked for l’Unità, Il Fatto Quotidiano, Bayer, CGIL, Discovery Channel and Realtime, among others. She collaborates with communication agencies and multinational companies on scientific copywriting and copy-editing SEO projects. 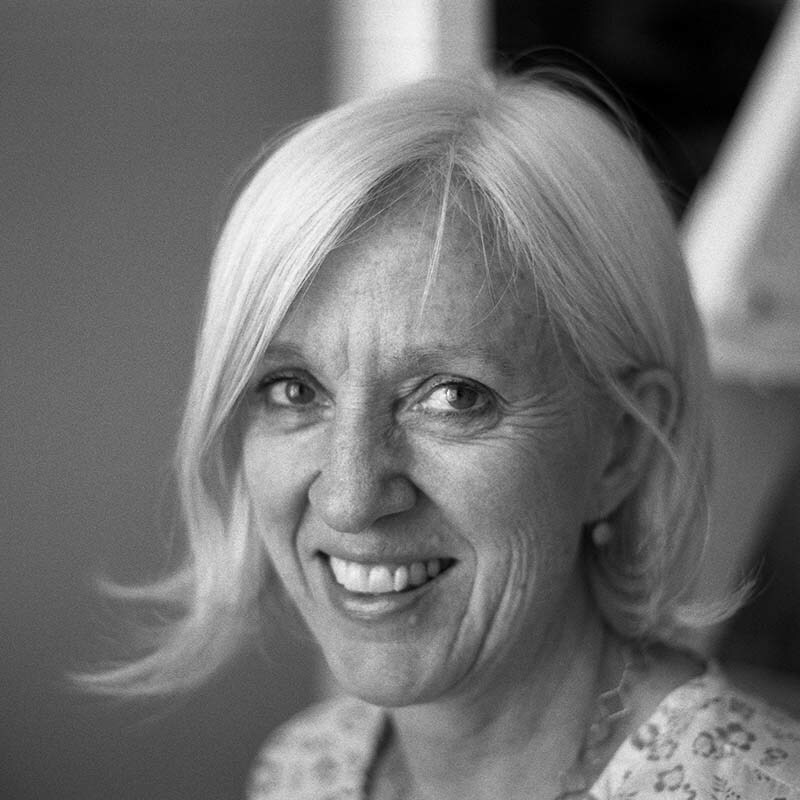 She is a teacher of Semiotics at the IULM in Milan and collaborates with Stefano Bartezzaghi. 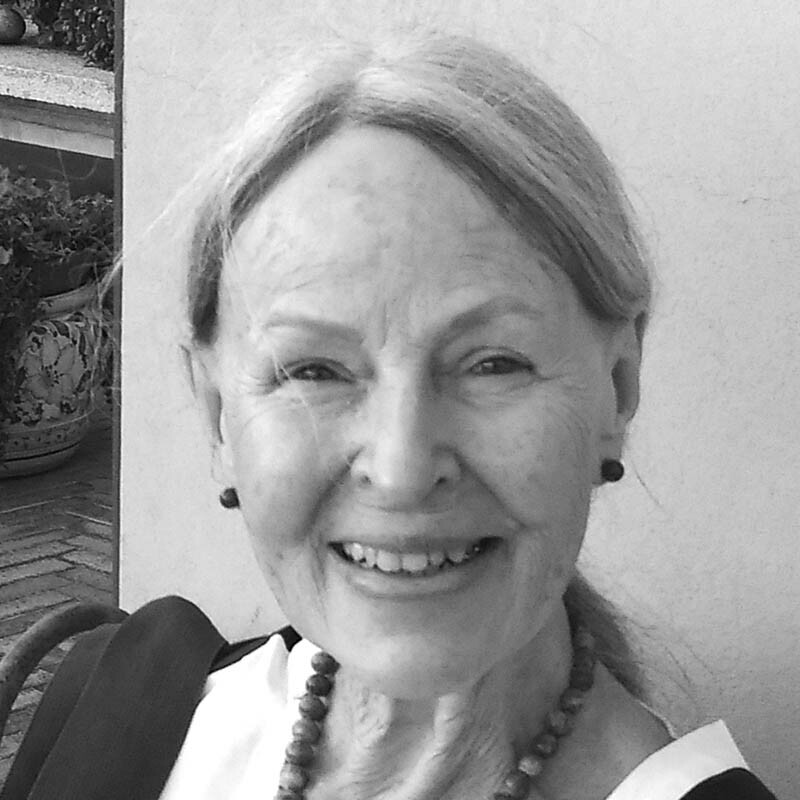 Semiologist and teacher of semiotics and anthropology, she curates and anchors the video series Polisemantica, il mondo in un segno, I simboli nell’arte, Semeion, i simboli e la storia, Sign&Design, simboli e storia degli oggetti di Design, Moda e Lusso. She is a consultant in semiomarketing, fashion semiology, fashion video advertising, net semiology and virtual fashion. 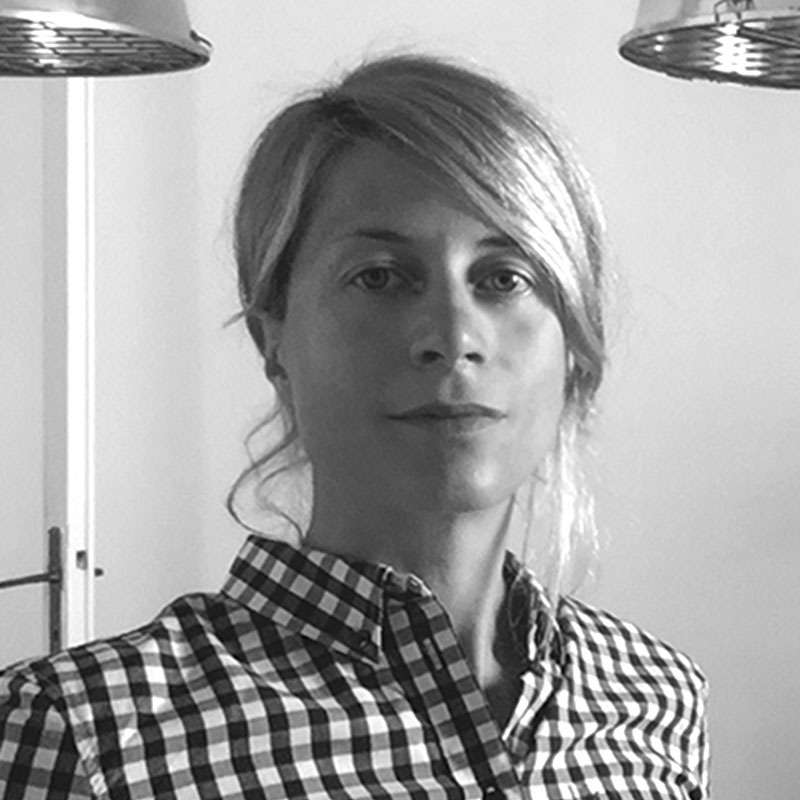 She joined RM-Raffles Milan after a twenty-year long experience in teaching symbology applied to products at several prestigious European universities, such as IESA, IFA, ISCOM, PSB and IESEG (Paris), Istituto Marangoni (Paris and Milan), IED and Domus Academy (Milan), Style and Design College, Polimoda (Florence) and Università di Bologna. Author of several publications on semiotics applied to design, art, web, fashion and food&wine. 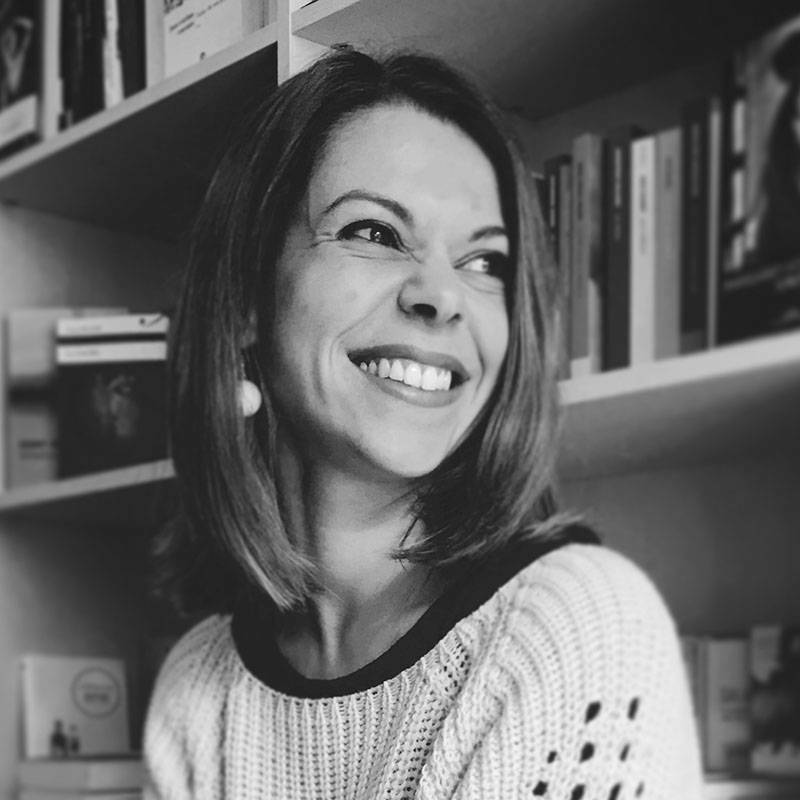 She has been editor-in-chief of the magazine QC2, quaderni di comunicazione. With a Ph.D. on the History and Criticism of Architecture, she has been a professor of Contemporary Art and Multimedia Communication at the Università della Campania. Already a university researcher in Contemporary Art History, she is currently a university researcher in Cinema, Photography and Television at the IULM in Milan, where she teaches Art and Media Curatorship, Art and Television, Cultural Heritage, Arts and Tourism and is member of the Ph.D. Board in Visual and Media Studies. She has always been combining designing with her activity of coordinating volumes, catalogues, and international exhibitions. In 2015, she coordinated the curatorial staff of the Italian Pavilion at the Venice Biennale of Art. She is currently coordinating the editorial project for the Treccani Encyclopaedia of Contemporary Art and collaborates with the monthly magazine Arte. Her research, which is published both in book form, papers and articles, falls within in the framework of visual studies and is aimed at exploring intermedia processes and situations.